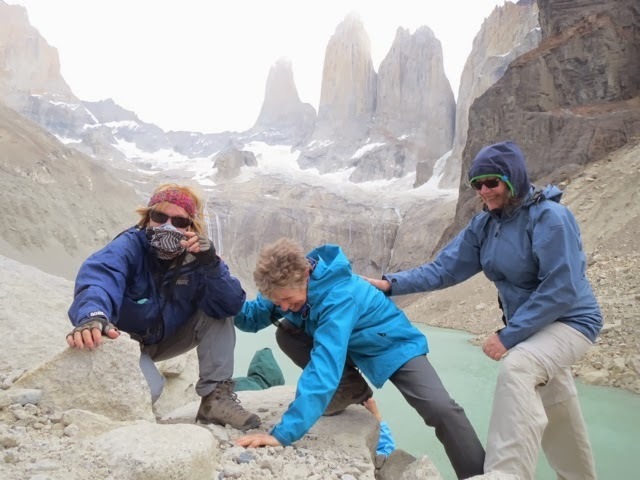 Even though this trek is classed as a moderate hike to the Valley of Ascension and legendary Torres del Paine we decided to begin our excursion. We preferred to ride the first part by horse which was a good choice as we were able to sit and admire some of the most amazing views ever. From the valley’s entrance, we could see numerous lakes, each a different shade of blue, and once we crossed the difficult scree pass, were we were terrified that the horses may slide due to the fierce wind we could see the actual base of the cliffs were we were so used to seeing from our hotel. 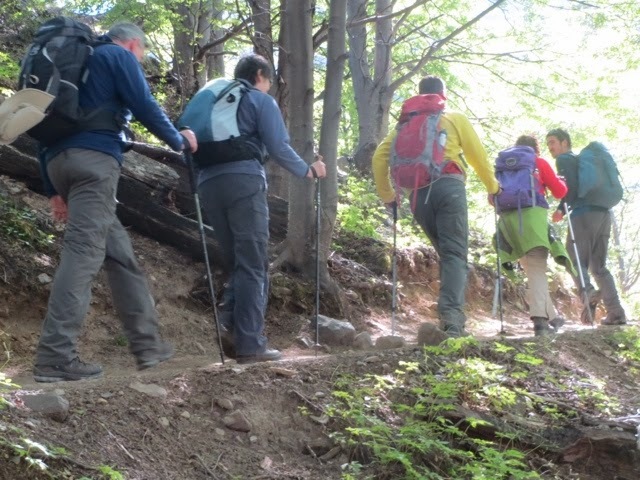 A fter passing through dense forests, we reached a point from which progress is possible only on foot. Under this extraordinary landscape, and imposing granite needles of Torres Del Paine we hiked for another 3 hours to the base of the towers, we only managed to stay upright by holding the rocks as the wind was ferocious. Thankfully we managed to reach our destination before the weather closed in for the day. Sheltering from the wind we had a restful break and lunch box to help regain the energy to return to our waiting horses at the Refugio, only to find that we were to return some of the way by foot as it was too dangerous to ride the horses in the gale force winds.The sensible decision was thankfully accepted wholeheartedly by the group. Descending the moraine of loose rock was tough. With the wind behind us we scooted down the mountainside, placing our hands and feet on the rocks with great care to avoid starting avalanches. 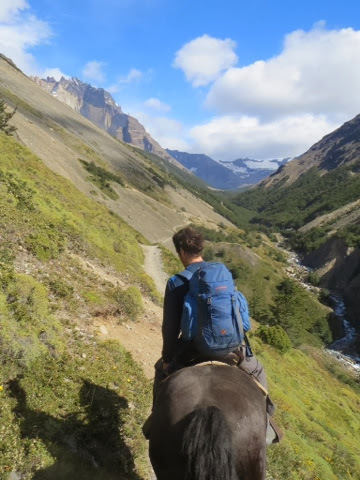 We waited on the other side if the pass for our guides to meet us, they were leading the frightened horses, we then descended by horse crossed the pounding river at the base of the valley, returning to our hotel tired after an exhilarated exciting day. 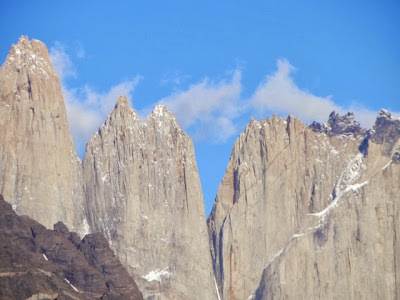 In my opinion this trek should be classed as difficult, and if you suffer from vertigo think again before make a decision to hike to the towers of Paine.